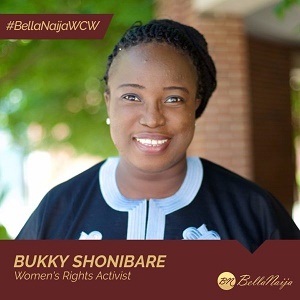 *Bukky Shonibare, Girl Child Activist. Source Bella Naija. IT was another beautiful day in the life of the world packed with a lot of exciting activities. The weather as usual was dry, wind starved and the sun blazing hot. But we were ensconced and comforted by the cool, calm and breezy well lit ambience of the church auditorium. The attendees were a sprightly mix of the youths and the middle aged with a lot of expectancy in their hearts. That much I can confirm. The event started in earnest. There were praise and worship, prayers, sermon, spoken word, a drama sketch, free medical check-up and speeches aligned with the theme of the event which is in the form of an acronym: MOVE, for Motivation, Offering, Vigor and Entrepreneurship. 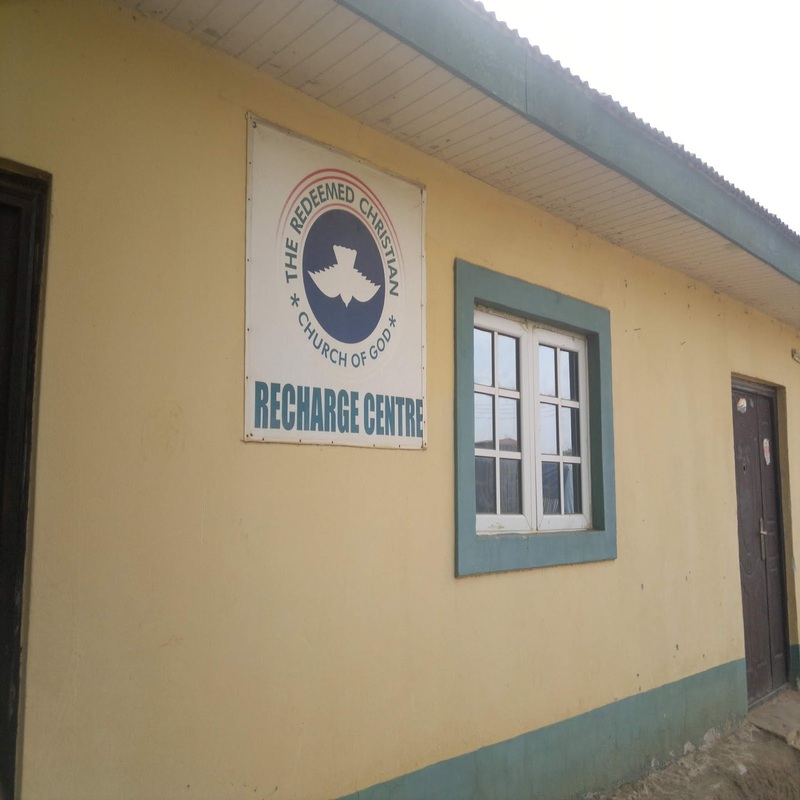 It’s a yearly program of ‘Recharge Center’, The Redeemed Christians Church of God, 18-19 SCC Road, Ushafa, FCT. And the date was 16th of March, 2019. Speaker after speaker mounted the podium to give their speech designed to put fire beneath the feet of every member of the audience to go out there and achieve what’s the God purpose for their life. In total, four speakers were earmarked for the day. By something around 4-5pm, we already had three. And they were worth listening to for they brought both scriptural and practically personal perspective to bear on the topic assigned to them. Permit me to mention them and the topics they treated. Pastor Belief Eneh spoke on the topic: Destination. Dr. Mrs. Irene Nkechi Chigbue spoke on the topic: Time and chance in marriage. And finally, Evangelist Tella Olatunji spoke on the topic: Enemies of Failure. This was followed by anxious moments when it was looking like the fourth speaker may not turn up. Like you’d find in youth meetings, they clustered in small groups outside the church chatting and contemplating whether to stay or leave. Ladies especially could be seen stuffing and clutching their bags angling to exit the hall. Some, indeed, must have left. It later became apparent the crowd in the church had thinned out a little bit. A sizeable number still remain. But the able event’s anchor managed to rally them with cryptic message that it is their responsibility to break all generational curses which have limited their parents. He expressly warned of dire consequences for those who dare to leave before the event formally closes. They responded well out of conviction. While they were either seated or standing again and musically engaged; the fourth speaker for the day strolled in unnoticed. And she was none other than Bukky Shonibare, who was a co-convener of the Bring Back Our Girls Campaign. She is a lecturer at the Pan African University, Abuja. She is also the founder and CEO of 555 consulting limited. Appeals were immediately made that she be allowed to relax and regain her composure after a hectic journey. It wasn’t long though before she mounted the stage. It was followed by an opening statement which comprised an unreserved apologies and a brief insight into her exemplary life. The youthful audience immediately warmed up to her and they paid rapt attention. And she positively remarked on the energy around the hall and inquired again after the name of the church. “When told ‘Recharge Center’, it was a name most suited to the occasion,” she affirmed. “Launching proper into her speech, she said: Let this be my opening shot to everybody present the youths and ladies especially, that everything your mind can conceive, it can achieve. “Continuing, no matter the size of your dreams and aspirations there’s always a room for their manifestation here on earth provided they align and are consistent with the will of God for your life. She reeled out a number of her academic qualifications which I won’t bore you going into at this juncture. She also revealed that she would be concluding her law program in April, saying she’s not revealing all this to flaunt but to encourage everybody and especially the ladies that anything they set their mind to they can achieve. Recalling how she once roamed the streets of Lagos looking for people to sponsor her education. But all that has changed because she didn’t give up. She would go on to prove to be by far the most ‘interactive’ of all the guest speakers for the day. And this she made clear starting out on the back of her declared intention to make the speech very brief. And brief it was! But by default the earthly man is anxious. She opened. Why? “She asked the audience to give her their lists of words that can be used alternatively in place of anxious. They volunteered quite a handful. A good number say worry. Some say restless. While other say fearful. The earthly man is anxious because he’s uncertain what the outcome of his endeavors will be. He’s fearful because his understanding of things is shallow. Hopelessness, worry, restlessness, fears and the like she stated categorically should not be the theme of the life of anybody for nothing is worth being anxious for or about. Once more, she asked those things that can create potential worries in the mind of the members of the audience. Ladies almost unanimously said getting married. Men on the other than hand say when there is no money or lack of job. Concerning the ladies, she interjected asking if it is the lack of suitable suitors that’s making them to fret. And a good number say the brothers are only not forthcoming; they also added many are not faithful. However, a middle point was achieved which is that people are naturally anxious which ought not to be. She noted that while it’s not entirely bad to be worried or do any of such as related because things are not going the way we planned it or thought it to be, it’s however by far better to communicate our requests to God in prayer and supplication with added thanksgiving. Three in one approach that work like charm. She encouraged the attendees to be prayerful, backed with earnest prayer of requests, and thanksgiving to complete it. She explained that a prayer is a way of appreciating God for what he’s doing, has done and will do. Supplication on the other hand is an earnest prayer of requests made unto God, the father of creation. To be added unto it is the attitude of thanksgiving for God loves an appreciative soul. Instead of getting sorely overwhelmed by our many bonds and travails as humans, we should look to God for succor like Apostle Paul did for while he wrote to the Philippians he was actually in prison facing persecution but did not allow that to weigh him down. Since peace of mind is what everybody seeks, she emphasized that it can only be found in Christ through God and the bible expressly made it clear in that verse. And she explained what is a ‘peace which passeth understanding’. Yes, there’s a peace that does not passeth understanding once people have an idea of why you’re joyous or blissful. If for instance when people know you’ve a new job, a new house, just married and the likes they can simply explain it away. They can easily trivialize it. But when you’ve something people don’t have an idea of, and you’re happy, it becomes a mystery to them. As such the peace you felt at that point in time passeth understanding because it is from God aligned with his will. Apostle Paul though while in prison yet was happy, joyous and peaceful in Christ Jesus knowing where he was going in matters of gospel, spirit and faith; and that help keep his heart and mind together. This, the faithless can only continue to wonder about because it passeth their understanding. As Christian and youths she exhorted that true peace can only be found in Christ through God even while chasing after their dreams and aspirations. And instead of being anxious for nothing, better to pray, supplicate and give thanks in all things and situations. There lay the secret and key to peace which passeth understanding which our hearts and minds continually desire. She concluded to a shrewd applause from the audience now standing on their feet. The delivery was immediately followed by a rather prolonged and affectionately raucous photo sessions which was a clear reflection of the star struck attendee’s love, appreciation and high regard for her. Many of course including myself are meeting such a huge personality for the first time. And what a perfect way to end the day’s event! Considering that many had been anxious concerning the uncertainties surrounding her arrival and now she just killed it with a likewise topic. How grateful many were not to have let their anxiety denied them listening to such a powerful person. Now there you’ve it. That which you’re anxious for is actually nothing. Nothing! Instead be prayerful, give supplication and give thanks to God and you’re home and dry with whatever your dreams and aspirations are.